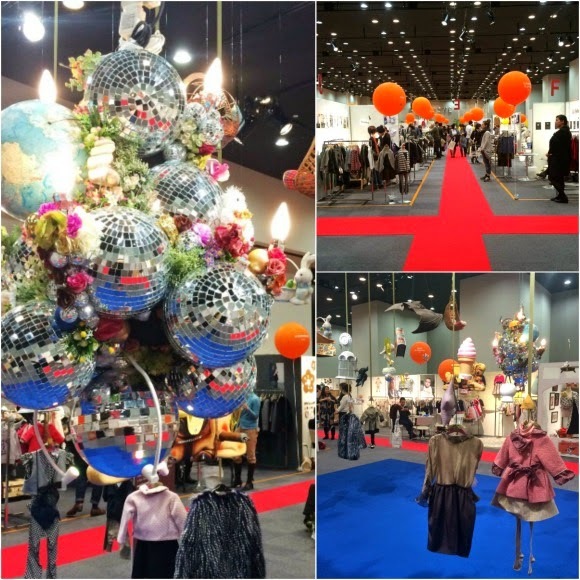 I absolutely love attending Playtime, an international maternity & children's trade show that takes place twice a year in Paris, Tokyo and NYC. 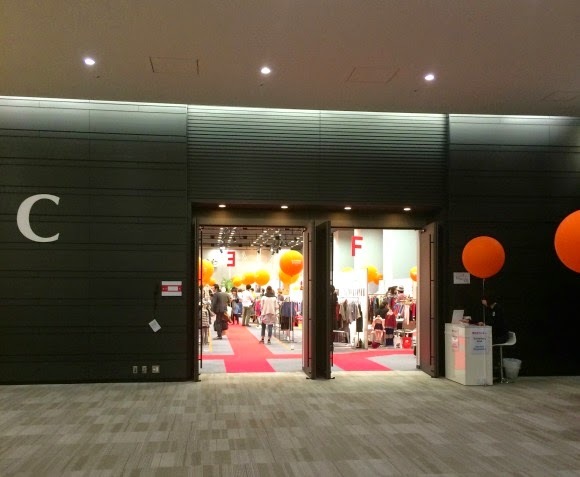 I am happy to report once more about the last Tokyo edition which happened last week at Belle Salle Garden Shibuya. No matter how much time I spend at the show, I always miss out on so many things, and I always wish I could talk to each exhibitor and listen to what they have to share. I wonder if I will ever be able to make this happen! I have made friends over the years, and of course I will always visit them in priority on the first day. 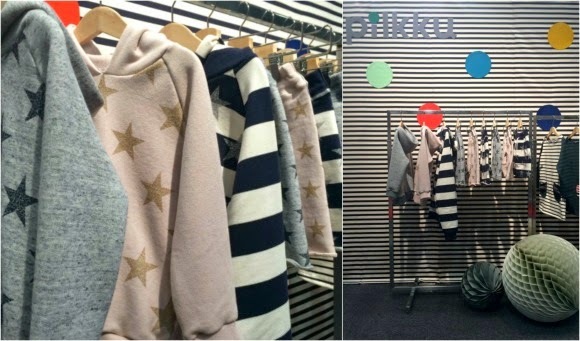 Last week I discovered new labels with fresh collections and exciting concepts. I also managed to attend the cocktail party (with my kids!) 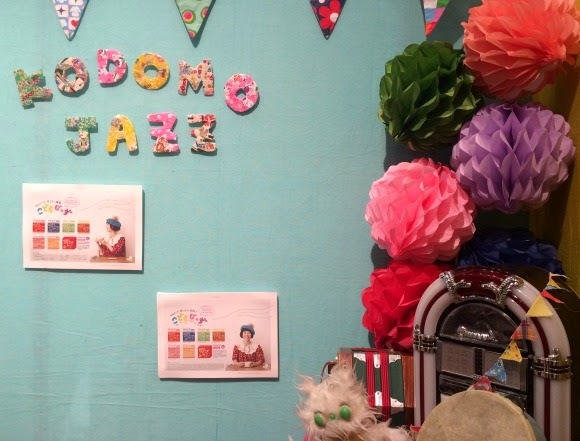 and listened to the "Kodomo Jazz" singer Roco who was animating the evening. 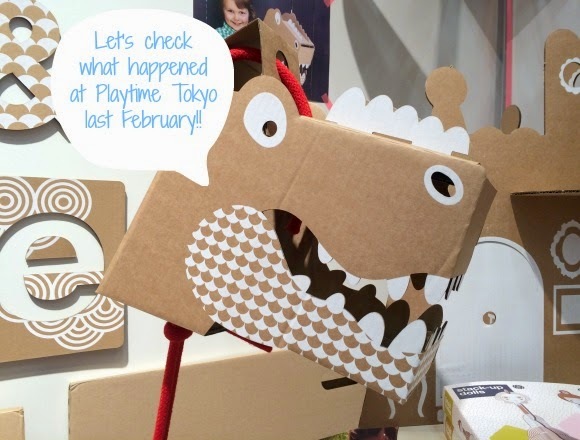 Let's find out in pictures what Playtime Tokyo had to unveil! 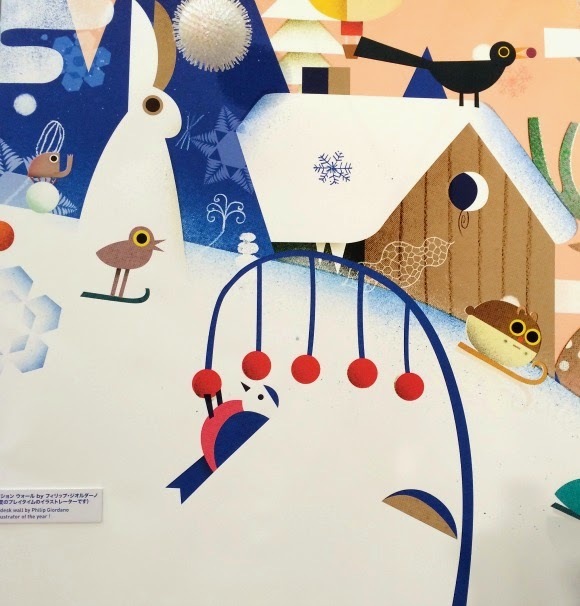 Illustration: Ever since its creation in 2007, each year Playtime selects a new artist to illustrate its fairs - from the trade show invitation, to the booklet, website, murals etc... This year it was Italian illustrator Philip Giordano who shared his vision of the three capitals in his signature animals, geometric shapes with quirky details. His work for Playtime won silver medal in the advertising category at the Society of Illustrators NY. 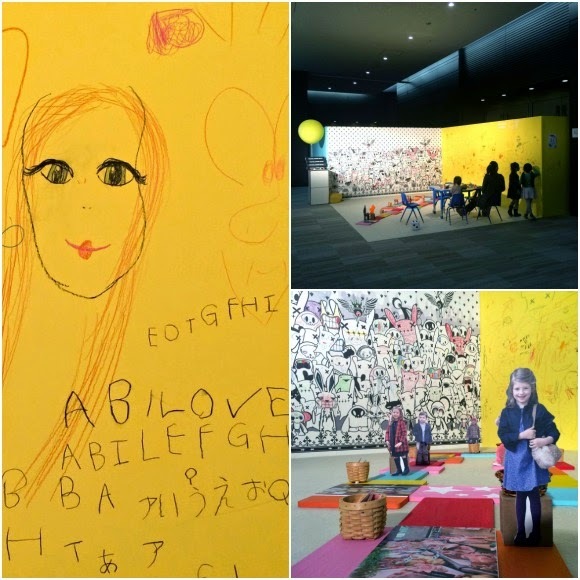 'Le Club Lounge' by Abi Loves with Mika Posa: a space where small visitors can play, create and relax. The wall paper seemed to be an awesome outlet for the little ones to express their creativity. My children surely enjoyed the space while I was happily catching up with friends! Kim Songhe was born in Tokyo in 1982 and graduated from Oda Design College, after which she started her design activity. In 2005, she got noticed with her chandeliers displayed at the Loveless store in Aoyama (Tokyo). 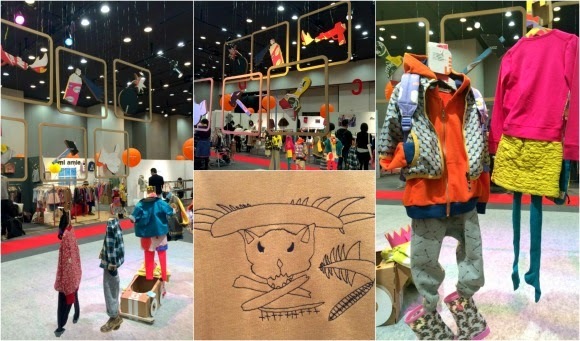 She has then produced many shop displays in Japan and showcased her work at museums in San Francisco and Seoul (2009). The chandeliers are made of products pasted to each other and can be described as "junk collage". Kim Songhe created a disco/pop chandelier for the trend Space of Playtime Tokyo. To celebrate the opening of the 12th edition of Playtime Tokyo, Japanese singer Roco and her musicians animated the cocktail party on the 24th of February. Her playful music entertained visitors and exhibitors as well as the children who attended. 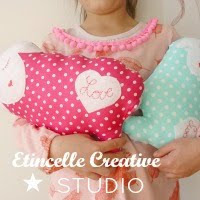 Toi-Même: cute, classy designs in pastel colours. Made in France. I ♥︎ the musical stars and their bright lights. 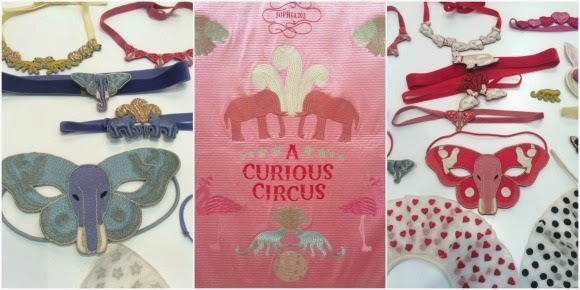 Que Sera Sera: an Osaka-based shop presenting labels such as The Great Lakes Goods, SugarBoo designs, Hartland Brooklyn, Gold Teeth Brooklyn etc... 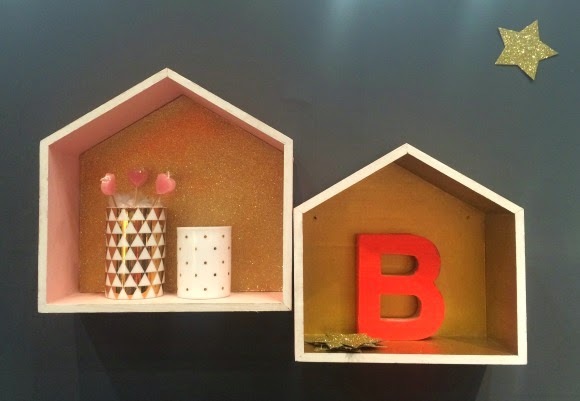 I ♥︎ the laser-cut wooden decoration items by The Great Lakes Goods. 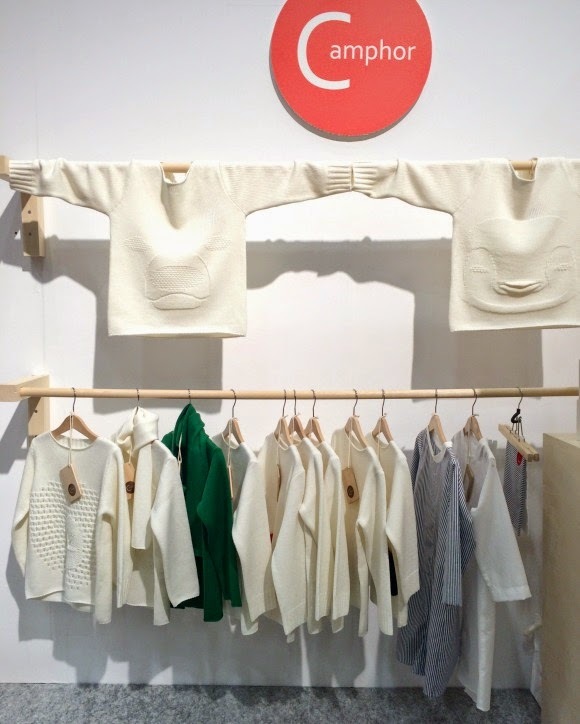 La Lovie: eco-friendly accessories and dolls in cashmere and organic cotton for environmentally conscious parents. 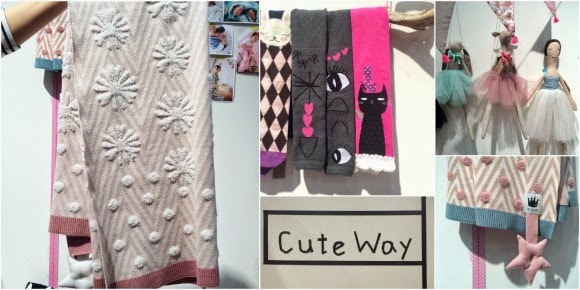 I ♥︎ the cashmere plaids and their original designs! 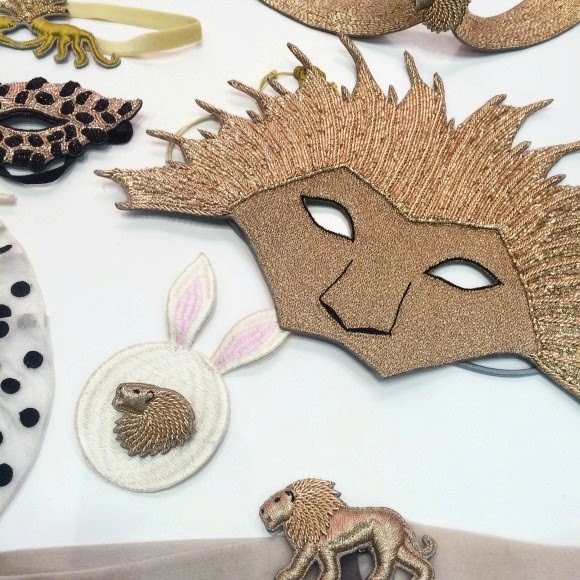 Sophia 203: the most delightful embroidered accessories. 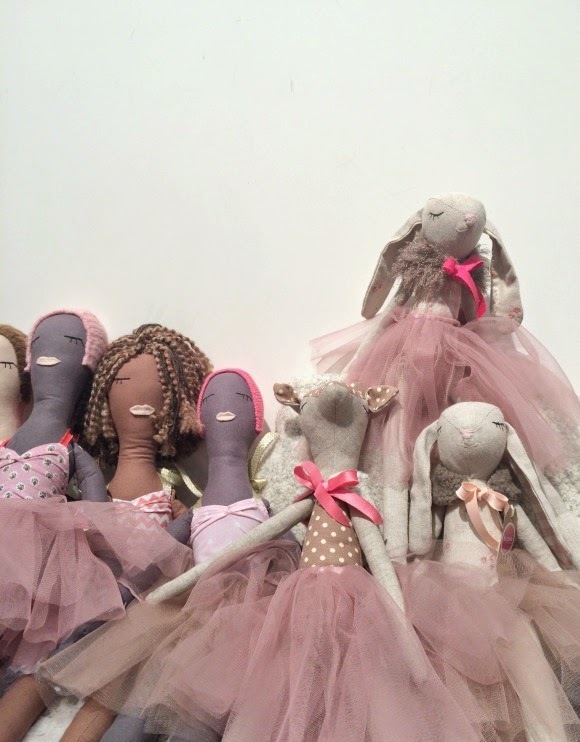 Every season a new enchanted theme, for the little and not so little ones. 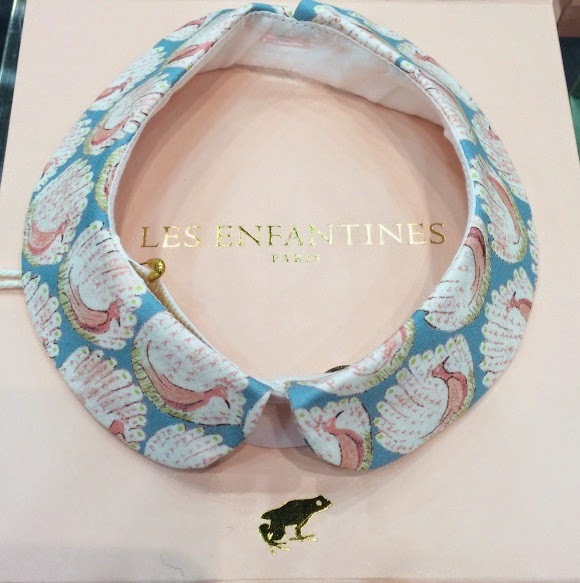 Les Enfantines: chic and timeless clothes for children - I ♥︎ the peacock liberty print collar for baby. 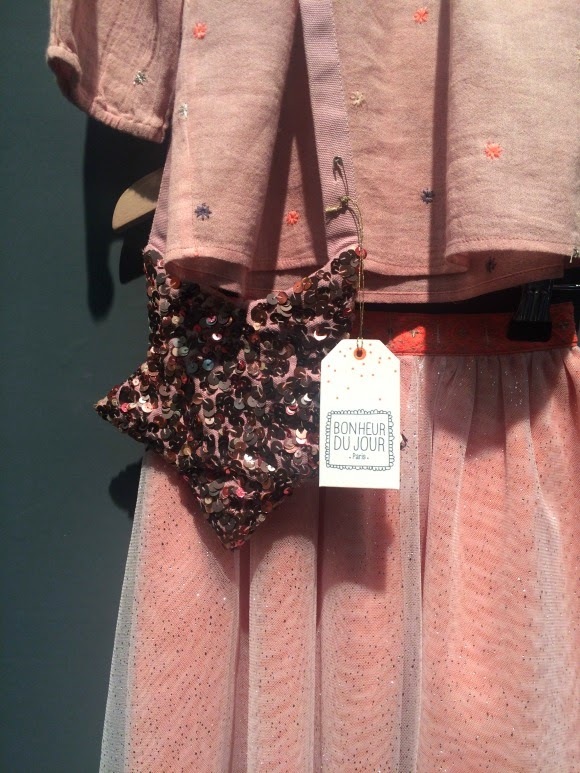 Bonheur du Jour: poetic, sweet and girly, the collection was stunning - I ♥︎ everything! 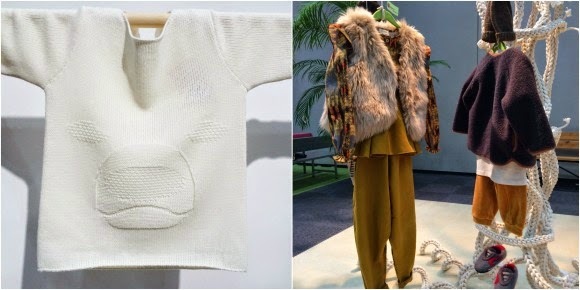 Camphor: superb knitwear and a minimalistic/ eco-friendly feel. I ♥︎ the sweaters which are also water-repellent (!). The artist is using the technique of knitting with different materials to create infinite shapes such as feathers, wings or elytrons (a harden forewing of some insects such as beetles). He has participated in collective and individual exhibits in museums and galleries across Japan since 1991. For Playtime Tokyo he created a giant knitted tree, a unique symbol and a space where people would gather, communicate and exchange. Born in 1977 in Tokyo, Daisuke Takahashi launched his first ready-to-wear collection for women (Disk1) in 2005 in Paris. 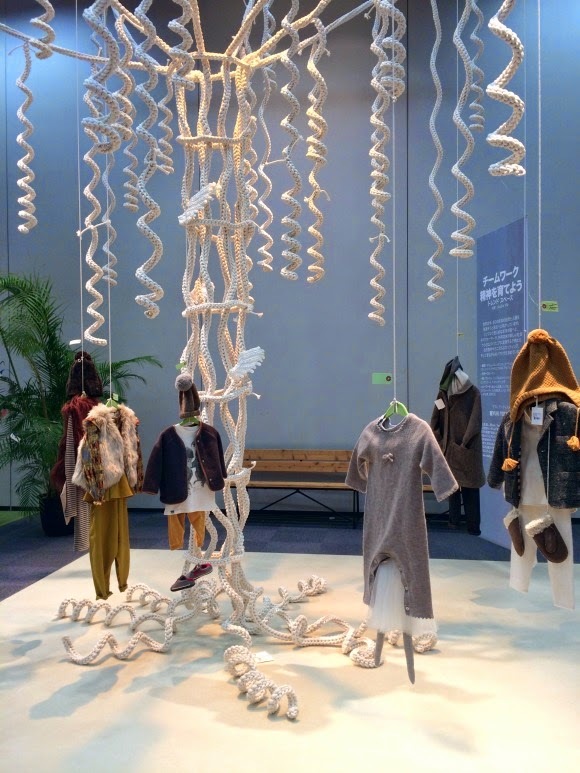 He moved back to Tokyo in 2006 and has expanded his work to men and kids collection as well as art installation made of fabrics or cardboard that are presented in cafés and shops. 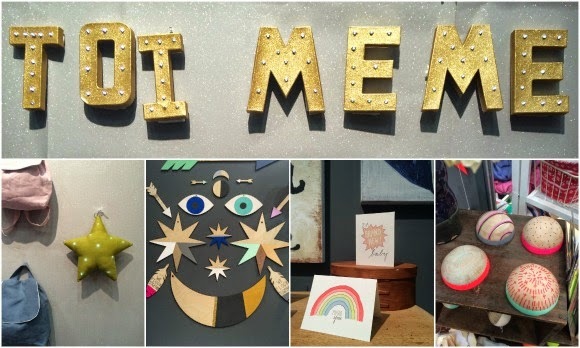 For Playtime Tokyo he created cardboard-framed objects to illustrate the happy mix between handmade and digital. Folk Made: a beautiful winter collection, made complete with the gorgeous knitted stools. The wooden furnitures were also handmade - by Mr. Folk Made. Pretty awesome! 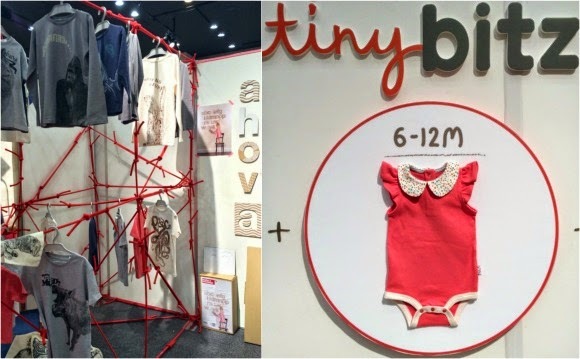 Tiny Bitz: a boutique baby gifting brand with the focus on bringing thoughtful gifts for growing kids. I ♥︎ the beautiful quality and super soft cotton of their onesies. CAST Japan: a distributor of some of my favorite products, such as Stocs, the Time Capsules by Make History, the Loog guitar etc... They recently added a new label to their line of products, the Flatout Frankie cardboard toys (from New Zealand). 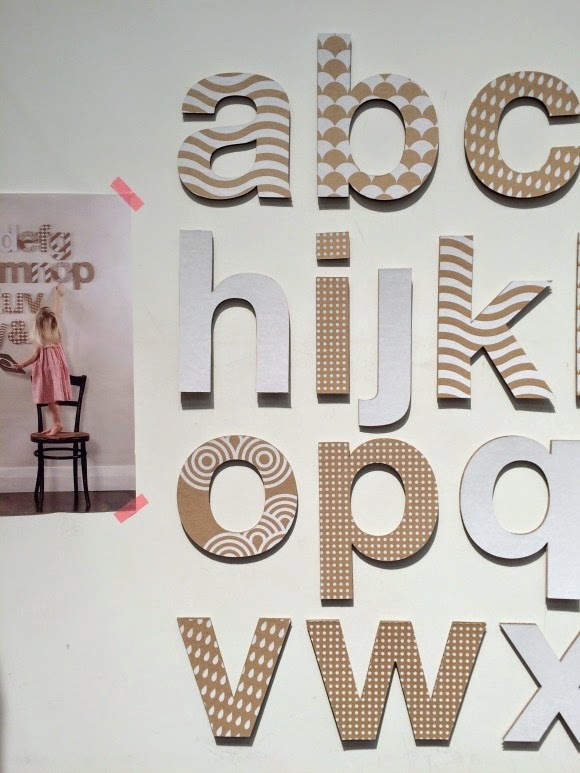 I ♥︎ the alphabet! 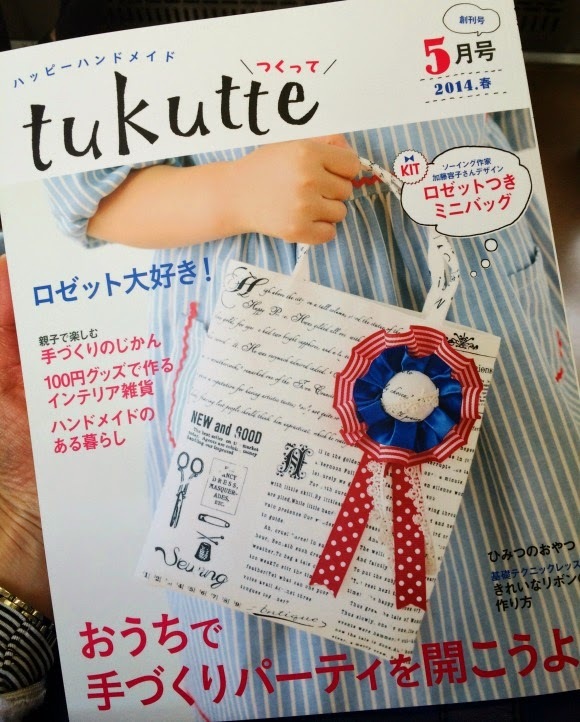 See you in August Playtime Tokyo!